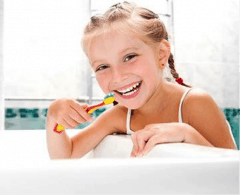 Tooth Care Begins at Birth in Mill Creek! That first tooth needs as much care as all his permanent teeth later on. Begin with a small, soft toothbrush and a tiny drop of non-fluoride toothpaste. 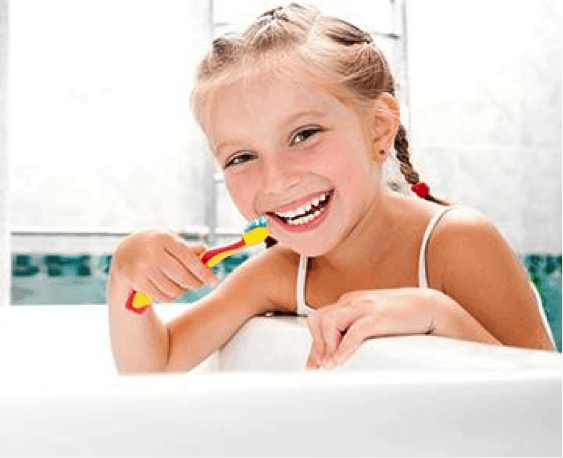 Use a circular motion to very gently brush his teeth (or tooth!) and gums. Dr. Brian Rutherford recommends bringing your child in for his or her first checkup by age 3 to be sure the teeth are developing normally. After that, they should have a checkup every 6 months. At Mill Creek Dentistry, we offer pediatric dentistry and look forward to taking care of your entire family’s smiles for a lifetime, right down to the smallest smiles!